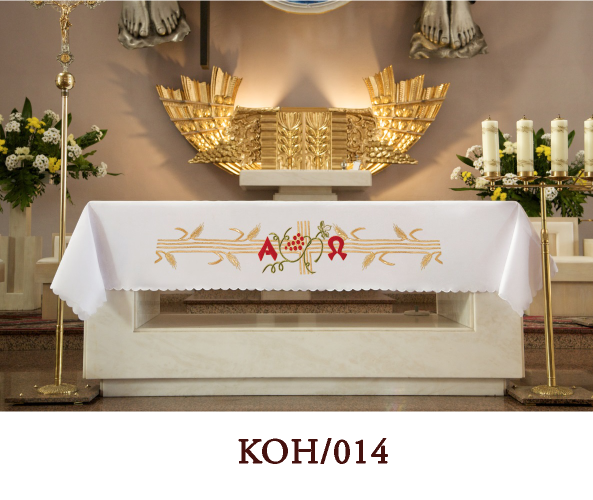 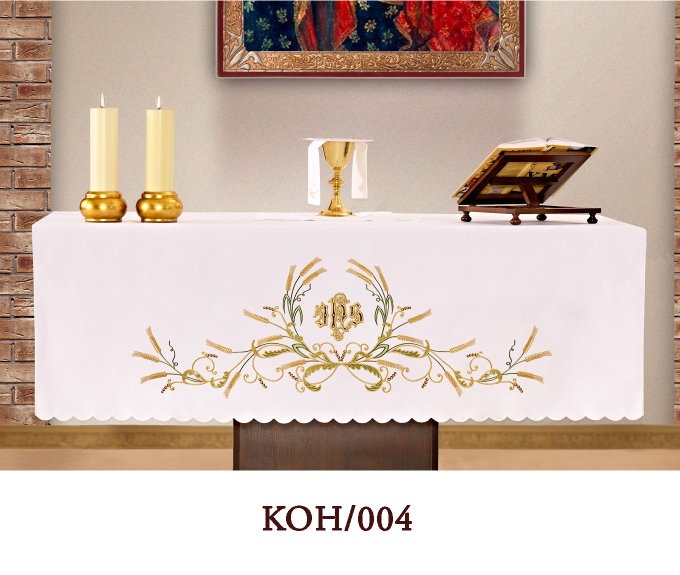 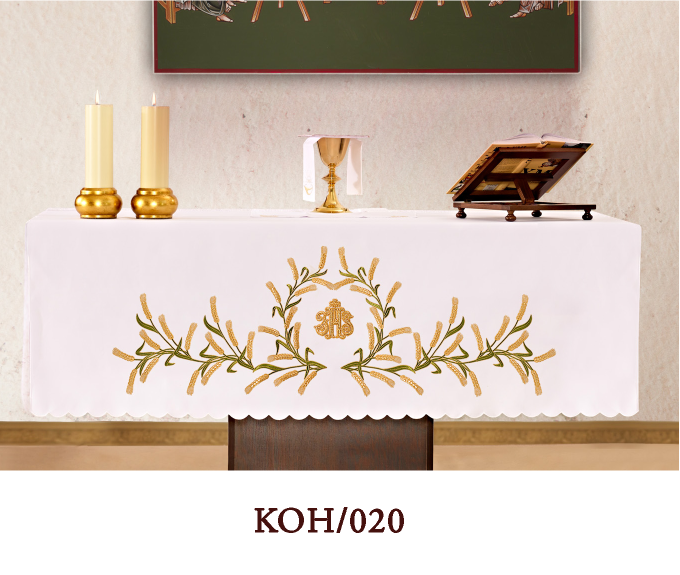 We offer you the tablecloths altar decorated with embroidery front . 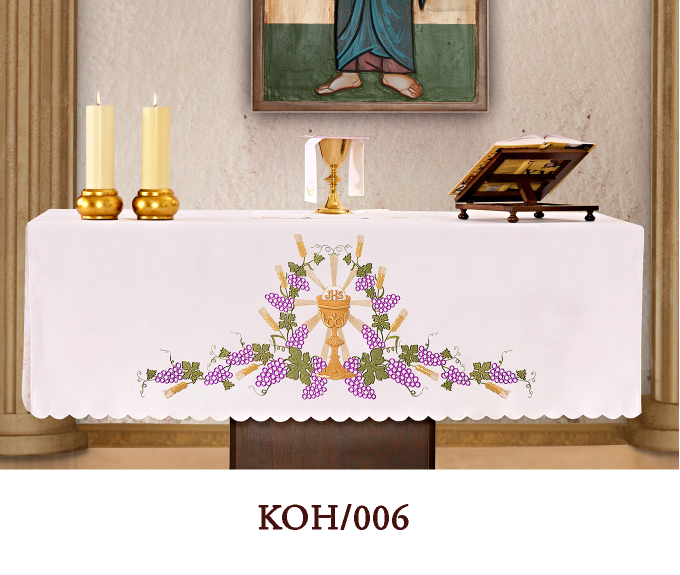 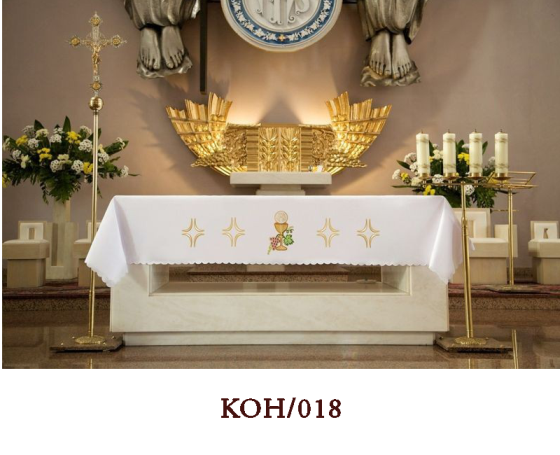 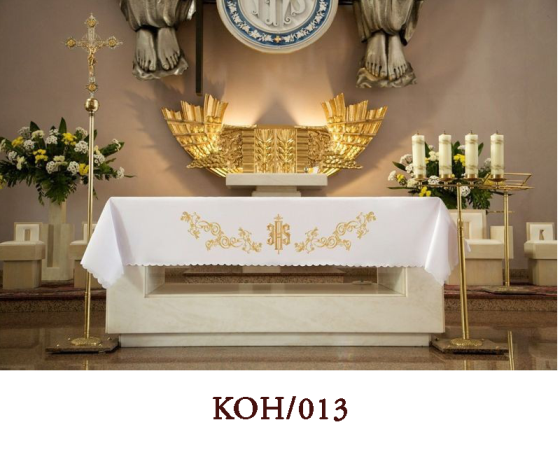 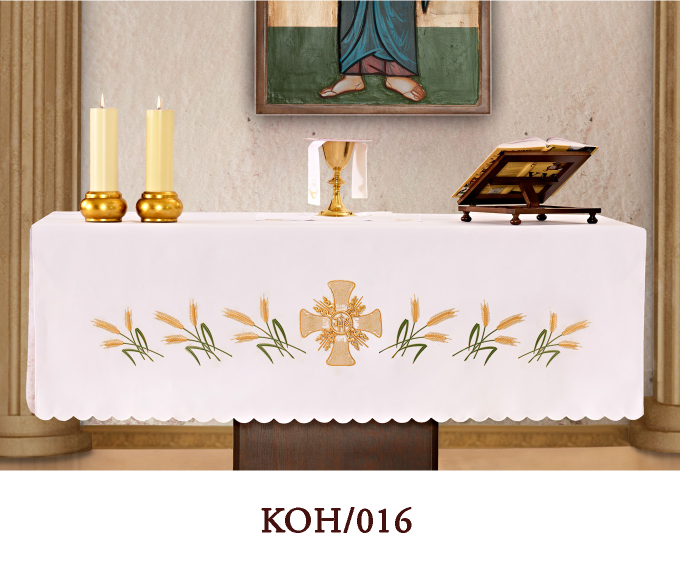 In our offer you will find many beautiful embroidery Eucharistic adapted to all liturgical seasons . Tablecloths are made from high quality fabrics stain-resistant and finished with delicate embroidery . 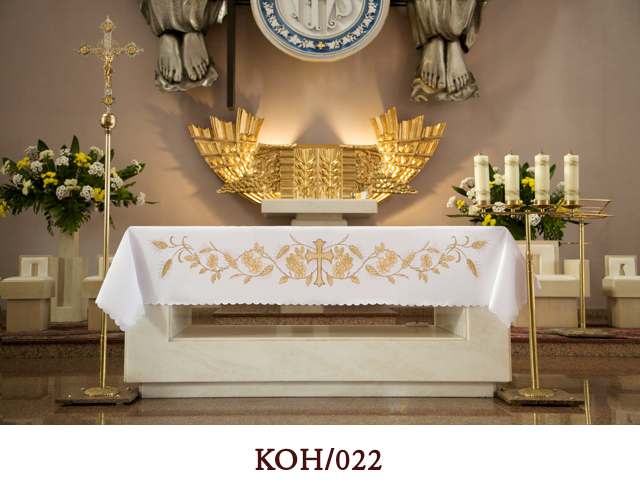 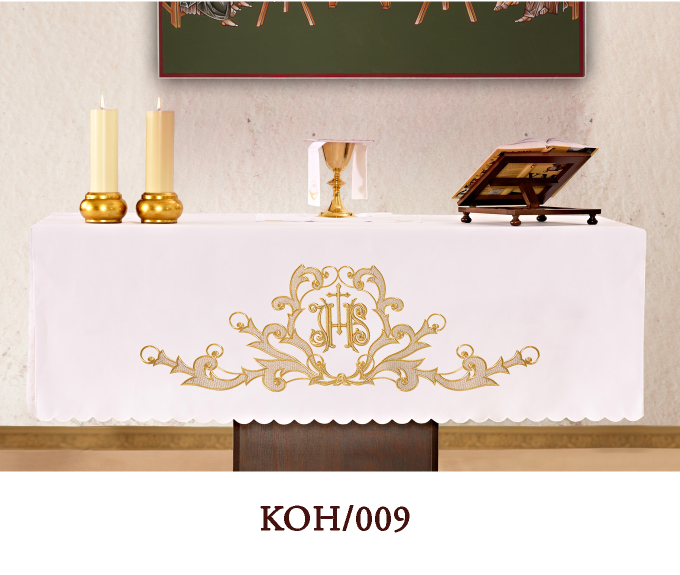 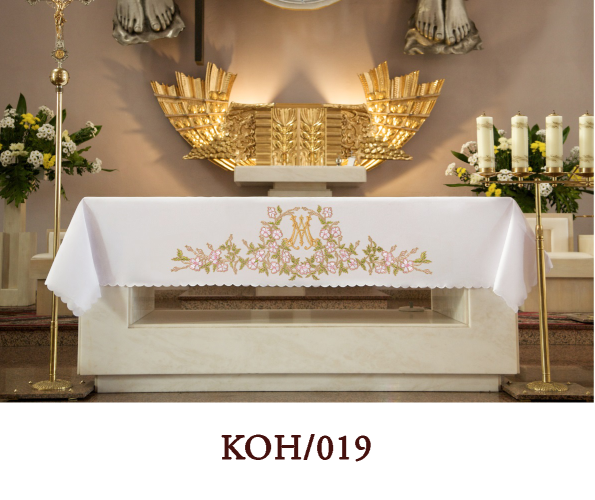 All tablecloths are embroidered on the individual dimension of the altar.